One of the best prices I could find at the moment. The Astro Black version is not avalibale at this price on Amazon. Not the £300 mark that many of us were wishing for, but at least it is from the UK with a full guarantee. Getting lower. Waiting till BF just in case. I checked 4/5 times today on amazon, its worth checking 10 times a day. Very had these on for £399 and I almost went for it but now back up to £499 with h RRP £599... I saw this deal on amazon a while ago, good price. Reckon it's going to drop a little bit not much for black Friday. This or the Nokia 8? LG if you don't mind the size. How far from stock android is it? Quite a bit. But there are apps on the market place that can make it look like it's stock. I have got one coming from Amazon Italy. Warehouse had one for £270 with the 20% off. Just hope it's in good nick. Worth keeping an eye out as I expect they come into stock on a daily basis. I'm really struggling to choose a phone. Originally wanted to spend <£200, but none of them ticked every box, but those that did were £500+, now there are several at around £350 and I'm seriously tempted. I'd have already bought the Nokia 8 if John Lewis or Amazon had it that price. I'm really struggling to choose a phone. Originally wanted to spend <£200, …I'm really struggling to choose a phone. Originally wanted to spend <£200, but none of them ticked every box, but those that did were £500+, now there are several at around £350 and I'm seriously tempted. I'd have already bought the Nokia 8 if John Lewis or Amazon had it that price. How do you go from a sub £200 phone budget to a flagship budget? Nokia 8 looks good. Decisions decisions! The difference in price has been cut in half. I believe £350 is good value. £500, not so much. So instead of settling for a cheaper phone, I'm paying more for something less likely to leave me with buyer's remorse. I did say I'm struggling to decide. Just wish the camera was better on the LG g6. Moving from an LG G4 not sure there's such a difference especially in the quality of the low light pictures which show quite bad graininess unless anyone can tell me anthing different. The thing is that there are much better camera phone's out there but they cost in excess of £600. Also waht's the battery life like? Does the edge have a different camera to the standards S7? I was disappointed with the camera on my S7. Ended up getting an LG G5 which the camera was much better, for me atleast anyway. I have a Moto z play now purely for the incredible battery life. Does the edge have a different camera to the standards S7? I was …Does the edge have a different camera to the standards S7? I was disappointed with the camera on my S7. Ended up getting an LG G5 which the camera was much better, for me atleast anyway. I have a Moto z play now purely for the incredible battery life. Oh strange that, no the same. I wonder if yours was a bit off, or maybe it just didn't suit you. I'd love to get a pixel myself just for the camera, but way too many compromises/££ to do it. 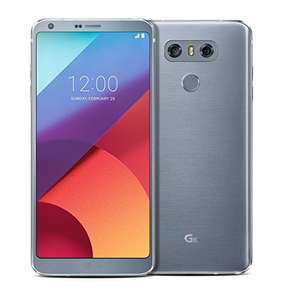 Bought the lg g6 from carphone warehouse last week. The camera is diabolical. I'm currently using an lg g5 and wanted to upgrade but three front facing camera is so bad even in good light. It looks like it's 2mp interpolated to 5mp. It's very bad, and a complete deal breaker for me. Typing this from a Galaxy Tab S. Don't mind the software, though would be worried about updates after my experience with this tablet. Especially as that phone is from last year. Hard to ignore at that price though. Typing this from a Galaxy Tab S. Don't mind the software, though would be …Typing this from a Galaxy Tab S. Don't mind the software, though would be worried about updates after my experience with this tablet. Especially as that phone is from last year. Hard to ignore at that price though. Maybe the Nokia series then. They won’t touch the S7 Edge hardware to price wise though. Back order now on the black, due in Nov 25th. £359.98 Eligible for free delivery with Amazon Prime. I've got an S7 and touchwiz gets so boring really quick. Back up to £400 now. Looks like January sales now.